by Jean Lehn Epp, Interim Coordinator of Youth Ministry Resources - In this age of overwhelming information we often think our youth know God. Afterall, what have years of Sunday School been for? Do they really know God? 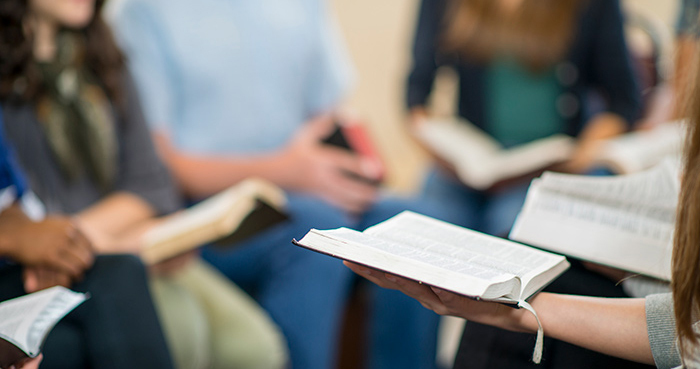 When teaching Sunday School or leading exploring faith discussions, I continually invite youth to respond from where they are at with the phrase, “don’t give me the Sunday School answer.” The “Sunday School answer” isn’t inaccurate or incorrect. I am searching for responses that come from their own understanding. Youth may know many of the Bible stories and know about God, Jesus and the Holy Spirit yet knowledge and belief are very different things. How do you move youth from knowing to believing and encourage them to embrace faith in God for their own? How do we move youth from information to transformation when many of our churches rely heavily on knowledge to feed their spiritual journey? Youth need to experience the love of God as much as being reminded that they are loved by God. Jesus becomes real when youth experience the invitation to “come, follow me” in a faith community that is committed to the long journey of walking with young people from child to adult. The goal is not just to get them baptized, count them as members and then launch them in hopes they will stay or someday return. If we see the spiritual journey of a young person as lifelong discipleship, we move far beyond a program to keep youth off the streets and out of trouble. Belief grows from a mixture of experience and reflection that is informed by knowing but also forms and expands our knowing. Encourage youth to explore different roles in the church so they can discover where they have gifts and passion. 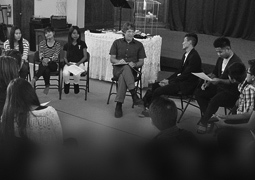 Try pairing several youths to lead worship, children’s time or teach children’s Sunday School. Be sure to provide lots of support and checking in or invite an adult to walk with them through the planning, preparing, practicing and implementing stages. Invite youth to volunteer alongside other adults in the church at ministries already happening in your church or community. Create a routine of debriefing and reflection after events, leading or volunteering. Ask where they see God at work. Help the youth process their experiences and feelings while framing the challenges and joys from their perspective as well as the perspective of those receiving their gifts or service. Invite a few adults at a time to share their own experiences of God at work in their lives with the youth. Be sure to leave lots of time for the youth to ask questions or if you have a particularly silent group, prepare questions for everyone to respond to. Try using a talking stick or stone, whoever is holding the item has the opportunity to speak uninterrupted. Don’t Sit On Your Stuff: Bible Study For Youth by Ted Swartz and Lee Eshleman is a video series that helps youth explore ideas of stewardship and giving of yourself through the stories of the disciples, Peter and Andrew, Mary washing Jesus’ feet, as well as the widow who gave her last penny. Echo the Story: Youth, is an interactive and experiential DVD series engaging an overview of the Bible while encouraging dialogue through storytelling and reflection. This series has a separate leader’s guide and a guided sketch journal to accompany it. 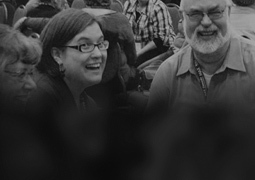 Andrew Root has produced great resources for youth ministry. a) In his book, Bonhoeffer as Youth Worker: A Theological Vision for Discipleship and Life Together, he explores Bonhoeffer’s work with youth and his influence on what we do with youth today as well as reflecting on discipleship in our current context. b) At the Princeton Lectures on Youth, Church and Culture, Root shares his thoughts on relational ministry with youth entitled Encounter with the Transcendence of God: The Shape of Faithful Place-Sharing for Youth Ministry. The second lecture explores how we share our lives with the youth we encounter and stretches us to think intentionally about these relationships. Dori Grinenko Baker writes The Barefoot Way: A Faith Guide for Youth, Young Adults and the People who Walk with Them. This book guides the reader through reflection their own spiritual journey. She shares stories of inspiration from others who have discovered God in unusual places. Faith Forward: A Dialogue on Children, Youth and a New Kind of Christianity by David Csinos and Melvin Bray, shares the presentations of a conference in Washington, D.C. in 2012. Several years later, Faith Forward: Volume 2, Re-Imagining Children’s and Youth Ministry was created as a result of another international gathering of pastors, parents, and educators to reflect on innovative and collaborative ways of growing faith and nurturing disciples.